Today the Environmental Research course for the TT-line had a visiting guest lecturer. 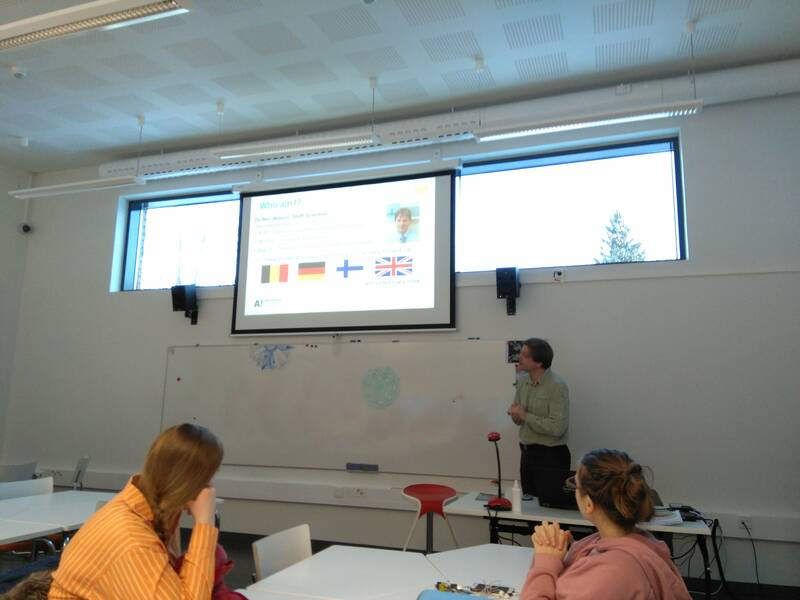 Benjamin Wilson from Aalto University spoke about his career, the essential need for recycling in the future as well as about some of his research projects. These included battery recycling, catalysts for the hydrogen economy as well as using cellulose as a protective surface on metals. We thank you PhD Benjamin Wilson from Aalto University!